Hot Tub with Spectacular Views of Breckenridge ** 3 Bed/2 Bath Townhome! Enjoy the private hot tub and the spectacular Breckenridge views. This beautifully furnished 3 bed/2 bath townhome is located within walking distance of the FREE shuttle bus, 15 minutes from downtown and the gondola for peak 7&8. . 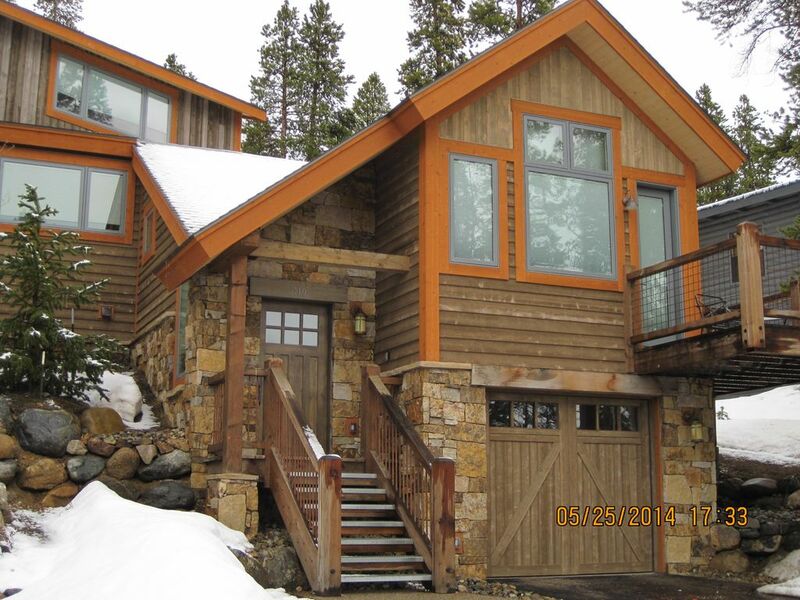 This townhome offers a quiet mountain setting perfect for your mountain vacation. In addition to the private hot tub, the wrap-around deck & master bedroom deck, gas fireplace, granite and marble countertops and comfortable furniture make this townhome a wonderful mountain retreat. Accommodations two bedrooms have King beds and the bear bedroom has 2 Twin beds. All bedrooms have flat screen tv's. We are located on the eastside of Breckenridge off of Baldy Mtn. Rd. Easy access to downtown and ski area. Amenities:: Private Hot Tub, Wireless internet, large fully equipped kitchen, full size washer and dryer, fireplace, 4 flat screen/cable TV’s, VCR/DVD, radio/CD/tape player, movies, CD’s, books, and games. Very large deck with patio furniture and BBQ grill. Free shuttle bus to town within walking distance. Beautiful views, well maintained, and stocked with everything we needed. We would definitely stay here again. Great experience for our family! We really enjoyed our stay and we are already talking about a summertime visit. The cabin was great. The hot tub was amazing. We also loved the daily visit from the neighborhood red fox. We enjoyed our stay. It was perfect for our vacation needs. Wonderful views, very clean and comfortable with lots of space. I really enjoyed the different levels of the property which provided some extra privacy which allowed space for everyone. It has amazing views and the hot tub was exceptional. I would stay here again! Only piece I wish there was more information on was the travel time from the town of Breckenridge. Short walk to free shuttle bus. $150-400/Night *Rates do not include local and state taxes. We accept Check, Visa, MasterCard, American Express and Discover via PayPal. *A refundable security deposit of $300 *This is a NON-SMOKING, no pet property. If you can make your Reservations Early, this will help you secure your dates.